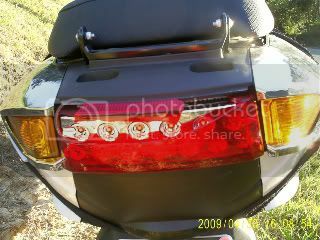 There have been quite a few failures of the Vectrix VX-1 rear light and brake light. Apparently a 55W/65W front lamp will break the rear light. I have my doubts about this explanation, particularly because my first Vectrix arrived with a broken rear light. I was also told that there was some fault found in the rear light itself that causes the failures, but I know no details about it and do not know if it is correct. A 4WD with a careless driver is quite capable of breaking the plastic cover of the rear light whilst nudging you over the line at a stop sign! I tested it myself! Which, in turn, might provide some answers about the failures NOT involving 4WD's! 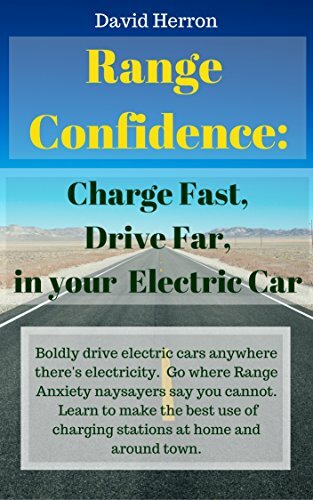 Hi mik, I have been reading the voltage forum and feel that there needs to be some sort of realistic responses to some of the questions asked. The problem being that I need to remain anomous at this stage and so are asking if we could work together on this one where I can relay information to you and you can then post it from your secret source so to speak. The issue with the taillight is a switching transistor that is blowing out. We are still working on this to ascertain wether it is incorrectly rated or more likely a cheap part with little quality. (out of china). I pulled apart several tail lights and found that there seems to be a common fault with the taillights that are failing. As for current draw from the headlight blowing the taillight, “I don’t think so”. That is like saying “that by turning the light on at the front door caused the light at the back door to blow”!!! Replacing the headlight with HID should not be a problem, the only thing that I could see as an issue is that the ICM could get confused due to the fact that it most likely reads the bulb resistance to check that the bulb is in fact working. With HID’s this would give an incorrect reading, as with a higher wattage bulb hence the flashing lights on the dashboard. On last point on this issue is that the Vectrix is designed with some pretty fine tolerances and changing things around could cause stress on the wiring and switching transistors that control the circuits. They are not like you normal bikes or cars where the switch controls the current flow, with the Vectrix the switch sends a signal to the ICM and the ICM then switches the circuit. So please be careful and keep this in mind when modifying things. Permalink Submitted by NJSteve on Sat, 08/08/2009 - 18:39. Please ask your source the transistor Q number and its original number please. Permalink Submitted by Mik on Mon, 08/10/2009 - 02:10. I thought that turning the headlight off whilst the break light is on might have something to do with it! In the sense that a current spike (caused by the sudden loss of load on the DC/DC converter when a strong headlight is turned off) will only fry the rear light when it is fully turned on during break activation. Your explanation also makes sense to me. The tail light certainly draws much more current when the brake is on, as can be seen in two of the photos above (13mA vs 163mA). If someone can identify the components on the PCB shown above - is there a DC/DC boost converter on there? I thought there would have to be some sort of coil or transformer, but maybe it's inside some of the parts. If anyone is interested I can dig through my photos, I have more detailed photos which I can upload if it helps. I could also take the Cling-wrap off again and do some testing. I suppose if the headlight load was too high, you might get a voltage spike out of the dc-dc converter when you turn the headlight off. You could add a big capacitor across the dc-dc output, or possibly a pair of smaller ones across the two power leads to the brake/tail light. You wouldn't want to put very big ones across the tail light as the capacitor would tend to make the switch arc. Another option would be to put some kind of spike limiter in the tail light, like a MOV or transorb. Just a simple inductor in series with it might do. It seems to me that the capacitor fix suggested by Fechter might also work against the scenario explained by X Vectrix. Permalink Submitted by X Vectrix on Mon, 08/10/2009 - 05:28. The problem occurs when you add a load...headlite coming on...the DC/DC increases its duty cycle to maintain power. You can see L1 in the PCB photo above. Permalink Submitted by Mik on Mon, 08/10/2009 - 13:39. Disable the brake light from coming on for 10 seconds after boot-up! Keep your hands off the throttle and brakes until the VX1 has booted up! Then check for warning telltales and reset the trip meter if needed, then activate "GO". Permalink Submitted by Stanzeman on Thu, 11/04/2010 - 09:00. Permalink Submitted by Zevpilot on Thu, 12/22/2011 - 02:10. I'm still riding daily a 2007 VX-1 with 45,000kms and very little trouble until recently ???? The rear brake switch failed and took out the back tail light (and brake light). I brought it to the dealer who just happens to be going out of business. They replaced the whole tail light assembly at great cost and almost immediately the rear light blew out again. The design seems bizarre! Anyway I'm now desparate to repair either of these assemblies and I have identified with the help of this forum that Q1 on the pc card in the lamp assembly is the culprit. The overheating damage has made it impossible to identify the code on the surface mount transistor assembly, however I have identified that Q2 and Q3 are W1As. Can anyone out there advise on the code or replacement part for Q1 or even a work around such as a common old fashions transistor that can be fitted? I'm greatful for any help on this. Permalink Submitted by Galago on Sat, 05/31/2014 - 12:14.
some 'investigating' into the tail light circuit board. board AS BEST AS I CAN TELL, complete with waveform observations. Sorry for the poor quality image but it should still be useful. THERE ARE OMISSIONS. I suspect there are errors. if you ever have to repair a failed tail light assembly. This board is on a 2007 VX-1. edit: to correct transistor part number. Permalink Submitted by agedbikeman on Sat, 11/28/2015 - 08:39. If this is the way forward, I'm pleased to be a dinosaur, If the lights had conventional wiring fed by a 120v to 12v dc converter like the cheapo chinese scooters have no one would have any problems and you wouldn't need Einstein to sort out any problems you did have, goodness knows how much extra all this pointless electronics cost, no wonder the bike was so expensive, no wonder Vectrix went bust. No matter what, you have to have wire and switches in a lighting circuit so why not just leave it at that and not add bits to bump up the price, complicate matters and cause trouble. At the first sign of light problems with mine I'll rip the lot out and re wire it with conventional circuitry, I reckon I'll fill my dustbin with the bits I'll have left over. A scooter is a vehicle, a machine to commute or go shopping on, not a computer on wheels. All these problems just because the rider decided it would be a good idea to be able to see where he was going at night. Alex, Retired electronics service engineer. Permalink Submitted by Mel on Sun, 02/19/2017 - 08:02. Hi there. I have no brake/tail lights. Does anyone have a procedure for removal of the rear/brake light unit? Permalink Submitted by Mel on Sun, 02/19/2017 - 08:33. Does anyone have a procedure for tail light removal please?